Combine flour, sugar, baking powder and 1 teaspoon salt in a food processor. Pulse and add butter, pulsing a few times. Combine water and vinegar and add, pulsing until crumbs appear. Empty to a bowl and form two balls, flatten into a disk, wrap with plastic and refrigerate, 20 minutes. 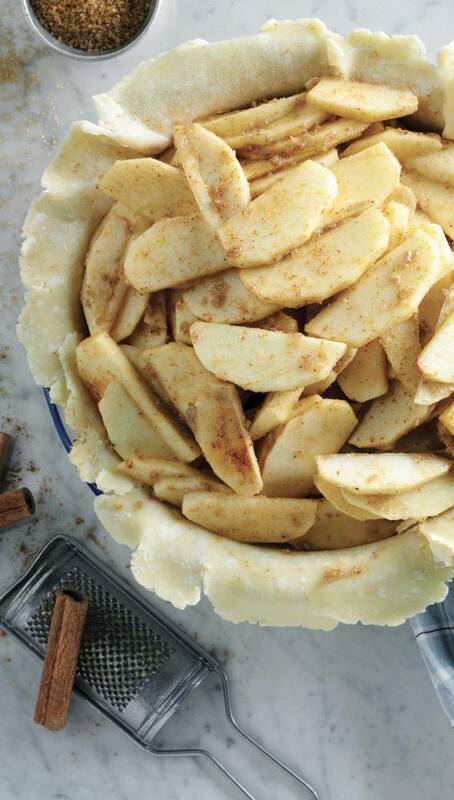 Meanwhile, cut apples into ¼-inch slices and toss with spices, remaining salt and lemon juice. Allow to macerate 1 hour. Over medium heat, return brown butter to saucepan (if made in advance) and stir in sugar to dissolve. Allow to thicken, about 5 minutes, and toss with apples and cornstarch. Roll out discs on plastic wrap dusted with flour. Refrigerate the top crust. Place bottom crust in 9x9 pie pan deep enough generously fill the tin. Refrigerate 30 minutes. 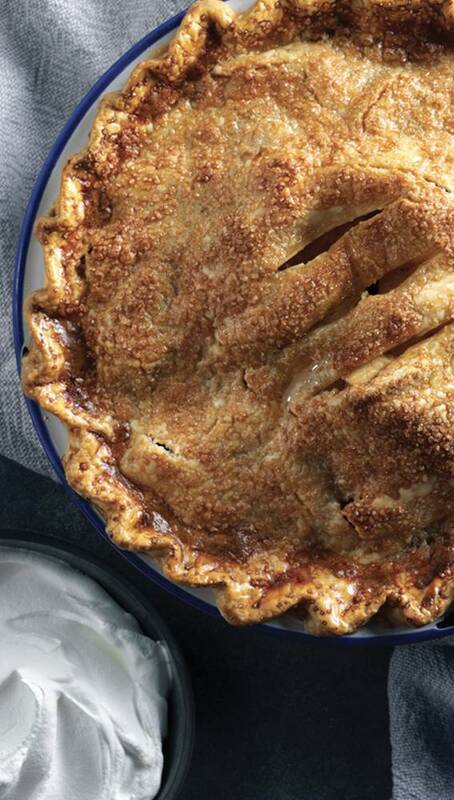 To make pie dust: combine 1 tablespoon flour with 1 tablespoon sugar. To make cannabis whipped cream: whisk 1 pint heavy cream in a chilled bowl until soft peaks form. Drizzle in 2 tablespoon cannabis honey and continue whipping until almost stiff peaks are reached. THC amount depends on the brand you choose.